4-1 Rooms for rent in shared flats in Karavannaya street 11, intersection with Nevsky prospect, 3 minutes walk to Nevsky prospect/Gostiny Dvor metro station, 300-400 Euros per month for each one. 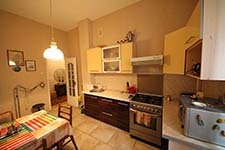 4-2 Two rooms for rent in an apartment in Baskov lane 19, 5 minutes walk to Ploschad Vosstania and Chernishevskaya metro stations, 5 minutes walk to Nevsky prospect, 220 Euros per month. 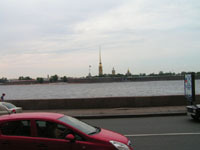 4-3 A room for rent on the Griboedova canal embankment 12, 1 minutes walk to Nevsky prospect metro station and to Nevsky prospect, 250-300 Euros per month. 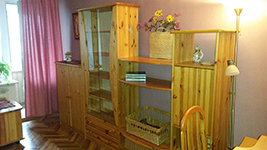 4-4 Two rooms for rent in a shared flat in Dumskaya street 5, 1 minute walk to Nevsky prospect metro station and to Nevsky prospect, 220 Euros per month for a small room and 350 Euros per month for a big one (570 Euros for the whole apartment). 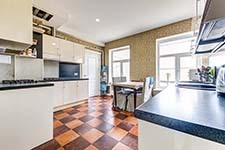 4-5 Rooms for rent in shared flats in Bolshaya Konushennaya street 10, 5 minutes walk to Nevsky prospect and Admiralteiskaya metro stations, 300-400 Euros per month. 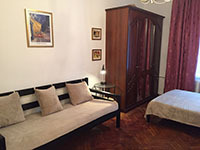 4-6 A room for rent on Dvortsovaya embankment 16, 10 minutes walk to Admiralteiskaya metro station and to Nevsky prospect, 240 Euros per month. 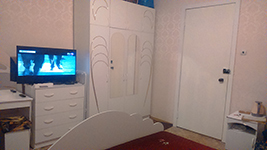 4-7 Four rooms for rent in Ligovsky pereulok (lane) 4, 5 minutes walk to Ploschad Vosstaniya and Mayakovskaya metro stations, 5 minutes walk to Nevsky prospect, 340 Euros per month for each one (1350 Euros for the whole flat). 4-8 Two rooms for rent in an apartment in Mokhovaya street 3, near the Summer Gardens, 10 min to Chernishevskaya metro station, 15 minutes walk to Nevsky prospect, 200 Euros per month for each one. 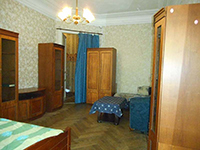 4-9 Two rooms for rent in Malaya Sadovaya street, 3, intersection with Nevsky prospect, 54, 5 minutes walk to Nevsky prospect metro station, 300 Euros per month per each one. 4-10 A room for rent in Stremyannaya street, 11, 5 minutes walk to Mayakovskaya metro station and to Nevsky prospect, 300 Euros per month. 4-11 Two rooms for rent in Nevsky prospect 18, 5 minutes walk to Admiralteiskaya and Nevsky prospect metro stations, 400 Euros per month. 4-12 Three rooms for rent in Nauki prospect 2, 10 minutes walk to Polytechnicheskaya metro station, 15 minutes ride to Nevsky prospect, 230-250 Euros per month. 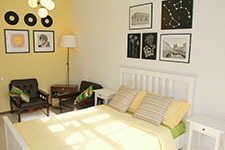 4-13 Rooms for rent in Mytninskaya street 5, 10 minutes walk to Ploschad Vosstaniya metro station, 5 minutes walk to Nevsky prospect, 300-350 Euros per month. 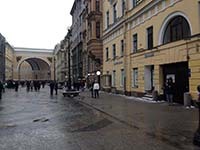 4-14 A room for rent in Bolshaya Moskovskaya street 16, 3 minutes walk to Vladimirskaya/Dostoevskaya metro station, 10 minutes walk to Nevsky prospect, 280-300 Euros per month. 4-15 A room for rent in Novocmolenskaya embankment 1, 3 minutes walk to Primorskaya metro station, Vasilievsky Island, 10 minutes metro ride to Nevsky prospect, 160 Euros per month. 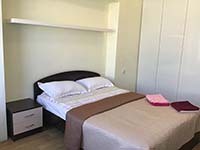 4-16 A room for rent in Bolshaya Monetnaya street 23, 10 minutes walk to Gorkovskaya and Petrogradskaya metro stations, 5 minutes metro ride to Nevsky prospect, 200 Euros per month.